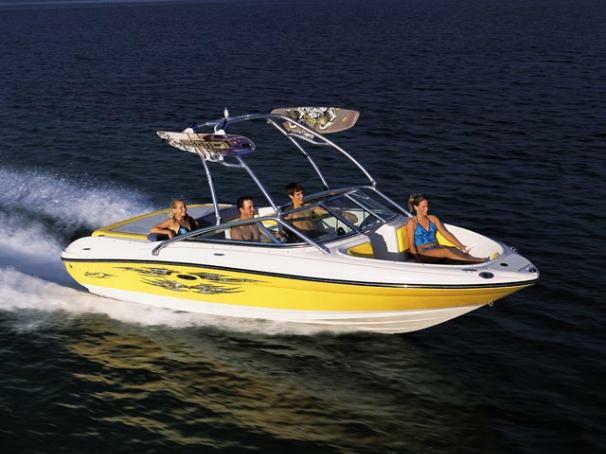 Boat Description There`s fun for everyone on this family-friendly Sea Ray 205 Sport. Vibrant colors and sporty new graphics are just a few of the eye-catching extras. Additional features include easy-to-use Turn-Key Starting (TKS) system, power-assisted tilt wheel steering, optional snap-in carpet, and custom-fitted tandem-axel trailer with swing-away tongue and brakes. Deadrise at Transom 20 deg.